Hello there, first of all, thanks for purchasing inCreate. This is a comprehensive and also easy to use help file that lets you setup and uses inCreate WordPress theme. inCreate is designed really user-friendly and if you have been a WordPress user before, you won’t need to read this help file completely and that’s just enough to look at this file main titles and just read what you need. You need to extract the ht-increate.zip file. The folder name will be “ht-increate“. You can upload it directly to your host via FTP in /wp-content/themes. 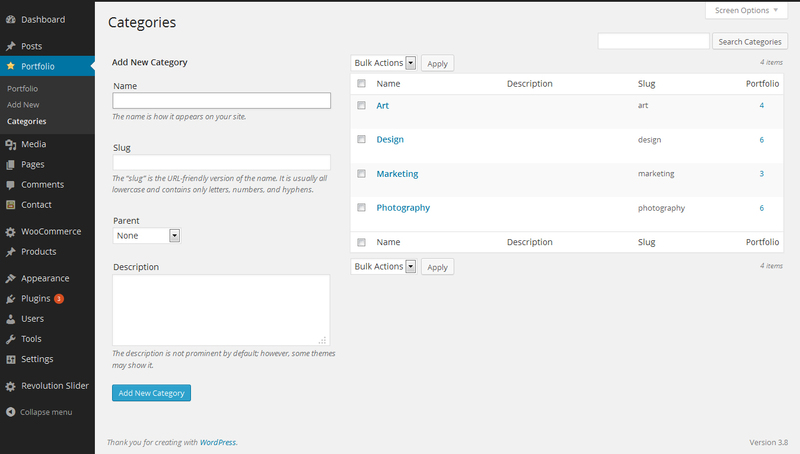 Then you can simply activate inCreate as you would activate every other WordPress theme at Appearance -> Themes. Also, you can use “ht-increate.zip” file in WordPress theme uploader section in order to install the theme via WordPress directly. Remember that after activating inCreate, you would be notified about installing a few plugins. In this section, we show you how to activate one of them which is named “Revolution Slider”. The notification window is like the image below. 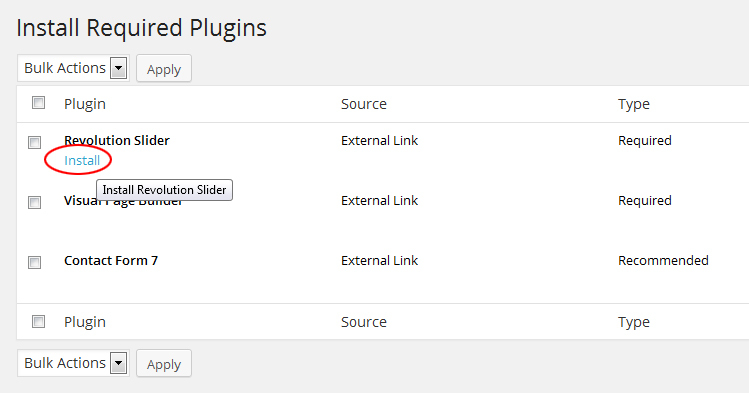 As you see, there are three plugins that you need to install: Revolution Slider, Contact Form 7 and Page Builder. Click on Begin installing plugin on the appeared box to go to another page called Install Required Plugins, then hover your mouse over Revolution Slider to install link appears. Then click on Install and wait until the plugin is installed. When the plugin get installed successfully, you would see a link named “Return to Required Plugins Installer”. Activate the plugins as shown below. Finally, click on it to finish installing and activating “Revolution slider plugin”. You can also do the above steps for the other plugins to activate them. Once you activate the theme, you would be redirected to the admin page, where you can simply start your own tweaks by adding your social media accounts. These accounts’ icons will be shown in the header. You can also determine if you would like that social item to be opened in a new tab when a user clicks them. If you leave an item empty, it won’t be displayed in the header. 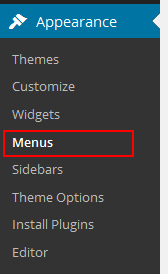 Like the image below, insert your menu name and then click Create Menu button. You can select your menu items from the left sidebar list of pages, categories, custom links, and etc. It’s so easy to create your homepage via inCreate. Now scroll down to HighThemes Page Options and make your tweaks there. Finally, click Save Changes to finish. 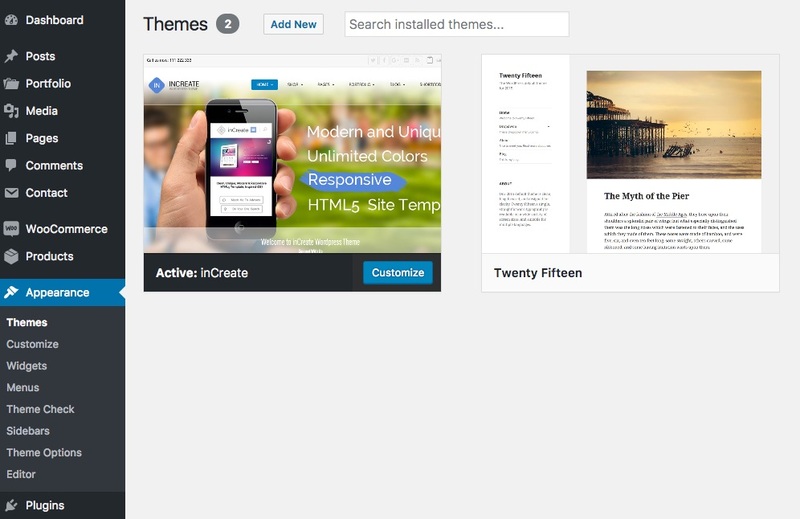 inCreate comes with a powerful page builder. When you want to create a new post or page, first of all, click on Visual Composer button to be able to use inCreate page builder features. On the appeared window, you can simply add your desired rows and then you can add elements on each row. You will see many elements that you can simply add them to your pages by clicking on them and tweaks your desired options. Note: The picture above just shows some of the elements and some other elements comes in the classic text editor to let you insert some inline elements amoung your words and etc. You will have three tabs there: General, Icon, and Button. As we are showing in the picture below, General tab contains many elements. You can select your desired shortcode (element) there and finally click on Insert Shortcodebutton to insert the shortcode into the WISWIG editor. Note that Button tab and Icon tab provide some visual options for you. But when you want to use an element from General tab and click on the ‘Insert Shortcode’ button, the shortcode would be inserted into the WISWIG editor automatically and then you can edit the option you want there. 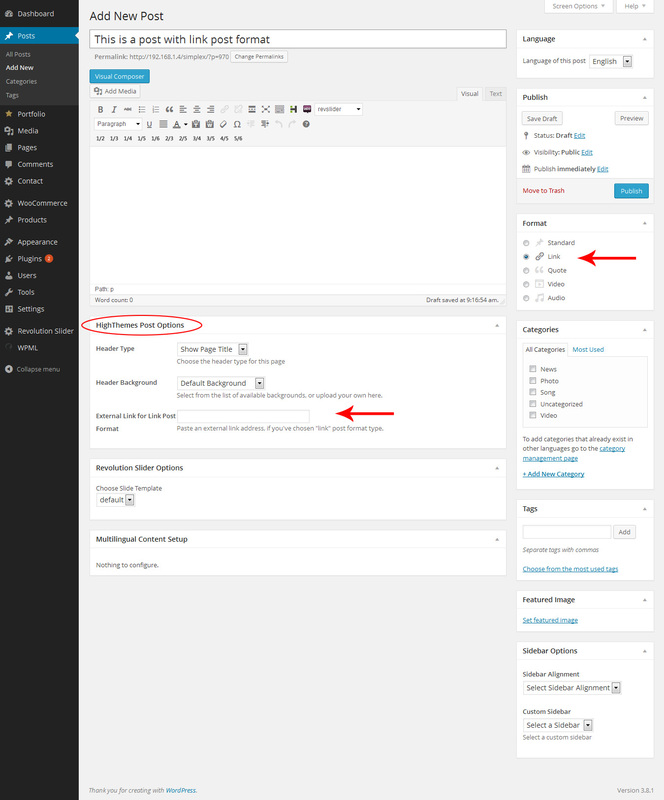 Create a new post or page or open a premade post or page and then on the WordPress editor click on Visual Composter button. inCreate uses a custom post type for portfolio items. 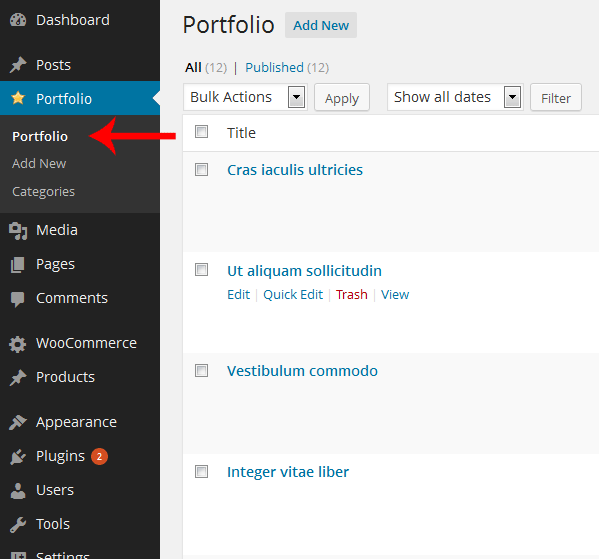 As you see there is a new item added to the dashboard sidebar, which is titled “Portfolio”. inCreate provides some amazing and useful features that you may use them with portfolio items. To see all of the portfolios, on WordPress admin dashboard, click on Portfolio from the left sidebar. You can easily create and manage your portfolios. To create a new portfolio, go to Portfolio -> Add new (1). Then you can simply determine portfolio name (2), write your desired content (3), set sidebar options (4), check portfolio categories (5) and finally scroll down to ‘HighThemes Portfolio Options’ and set portfolio options there (5). 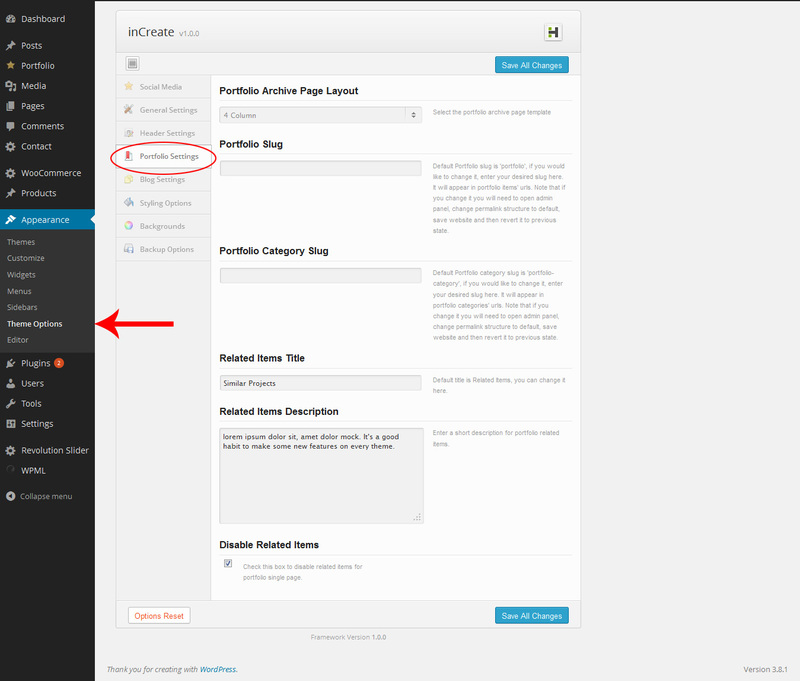 Note: As you see, you can have your desired sidebar in your portfolios and determine sidebar alignment. You can also put your portfolios and galleries everywhere you want via inCreate shortcodes. inCreate works with a great Slider plugin which is named “Revolution Slider”. As we covered this subject before, this plugin is into the theme folder and you can setup that after activating the theme. Set FullWidth, Responsive or Static size. 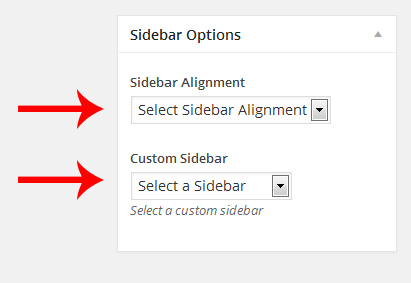 On the WordPress admin dashboard, go to Revolution Slider to see the list of premade sliders there. 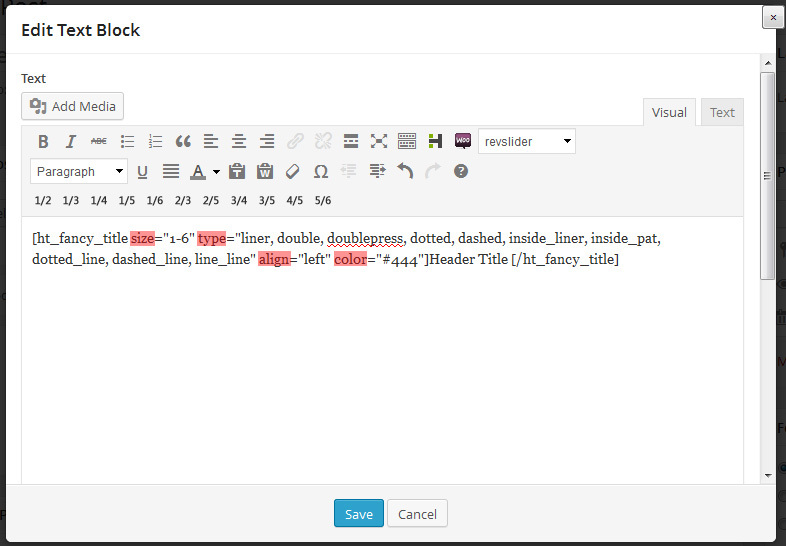 As you saw in the picture above, Revolution slider generates one shortcode for every slider. So, you can simply copy each slider shortcode and just paste it where you want. In this section, we will take a look at the general settings of the theme. There is no need to explain each section because each section comes with a clear description. 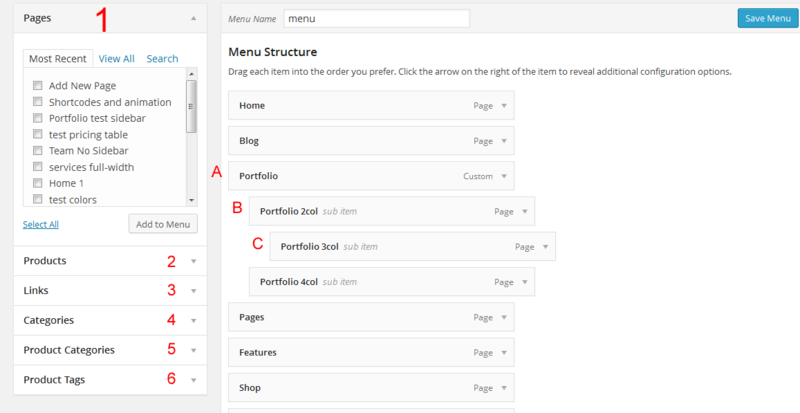 One of the important sections is Main sidebar layout which is explained below. Main Sidebar Layout: Here you can change the overall sidebar alignment for pages. For example, you like to have left sidebar for all pages so you can choose it now. 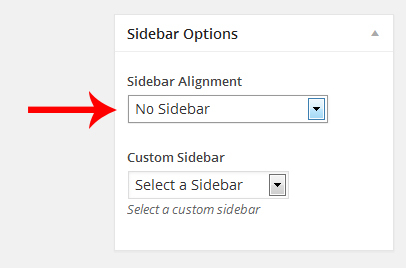 If you want to exclude a page or post from this layout, you can override it when you create a page/post on “Sidebar Options” which will be explained later. inCreate comes with two blog types. blog and masonry blog. 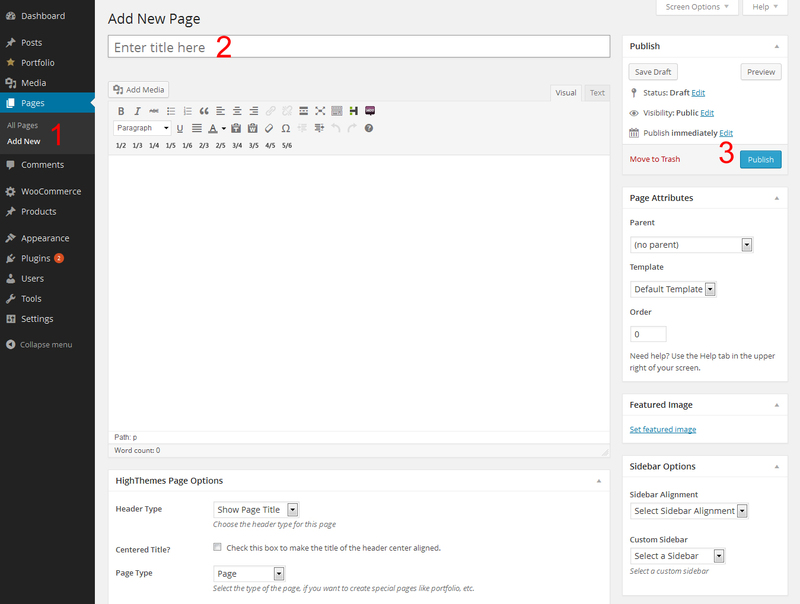 For both of these blog types you can create a page, then scroll down to HighThemes Page Options, then select “Blog” or “Masonry Blog” as the Page Type. This is the only difference option and other options are the same for both of them. NOTE: Blog and Masonry blog are different in showing posts in user front-end. On Blog page type, posts are shown in on the column but Masonry blog page type is a grid layout page. inCreate offers nice options for sidebar management. First, you can have your own unique sidebar on each page, post or section. Say you can create a sidebar, drag and drop custom and unique widgets for each page, post or section. Also, as you saw in the general settings, you can set a default sidebar layout for entire the site and you can also override it on every page or post. 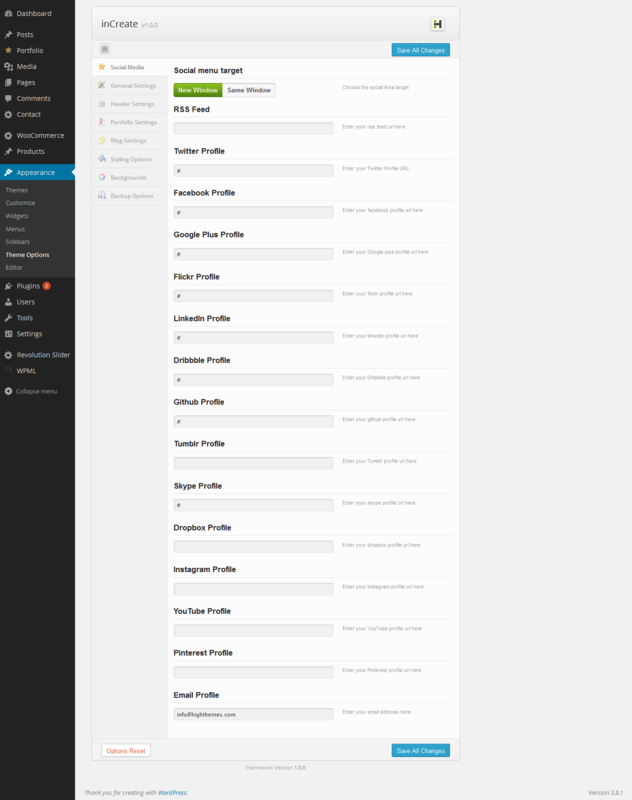 To add a new sidebar, go to your WordPress admin dashboard. On the left sidebar under Appearance, there’s a link called “Sidebars”. Click on it and a new page will open to let you add unlimited sidebars. 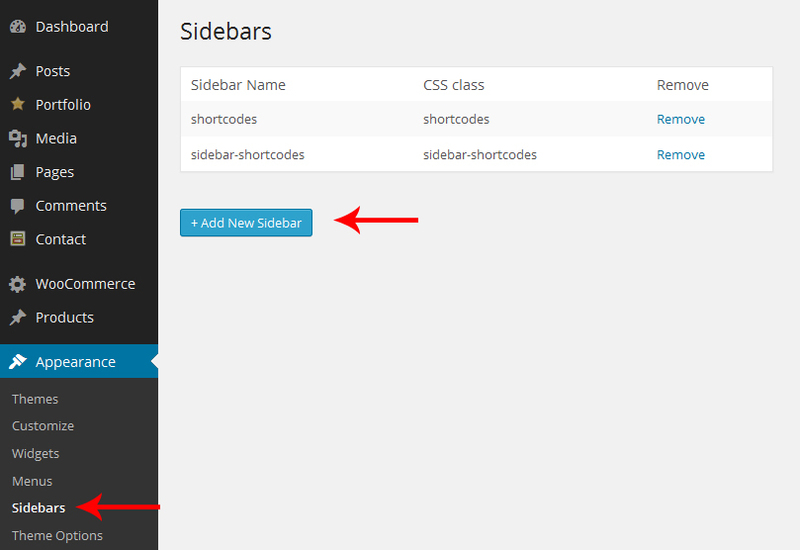 Here, you would be able to easily define a Sidebar Name and click on Add New Sidebar button or delete premade sidebars. 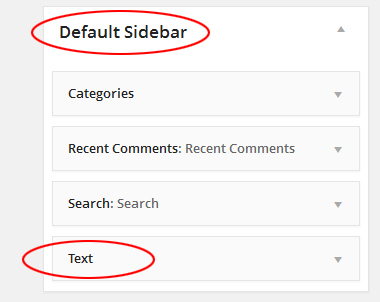 Default Sidebar: This sidebar would be displayed on pages, posts, and sections in default. Note that you can override this on every post, page, and section by Sidebar Options. Portfolio Archive Sidebar: This sidebar would be displayed only on portfolio archive pages. 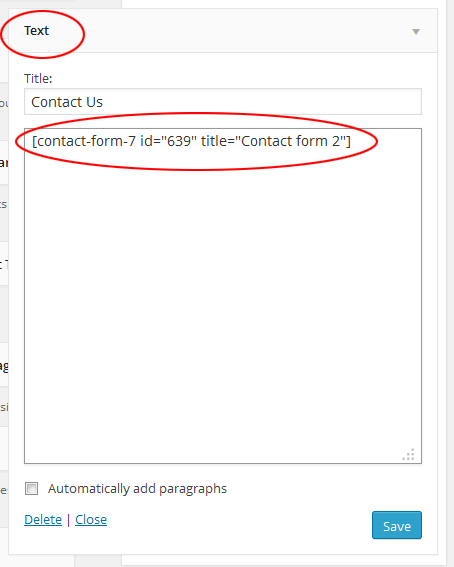 inCreate uses Contact Form 7 WordPress plugin. This plugin enables you to create your desired forms and generates one shortcode for each created form. 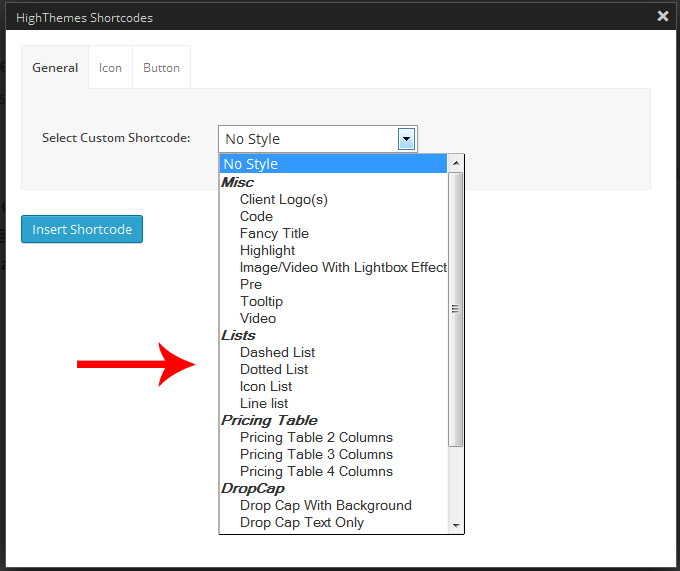 You can easily use these shortcodes on your pages, sections and widgets. Therefore you would be able to put your forms almost everywhere you want. As you see in the picture below, every generated form has a specific shortcode. To setup, a contact page, first of all, create your desired contact form and copy the generated shortcode. You can simply put your contact forms into your posts exactly as like as you do it for pages. As we said about sidebars and widgets in previous sections, inCreate has some predefined widgets and sidebars and also lets you create your desired sidebars. Finally, click “Save” button to save the changes. 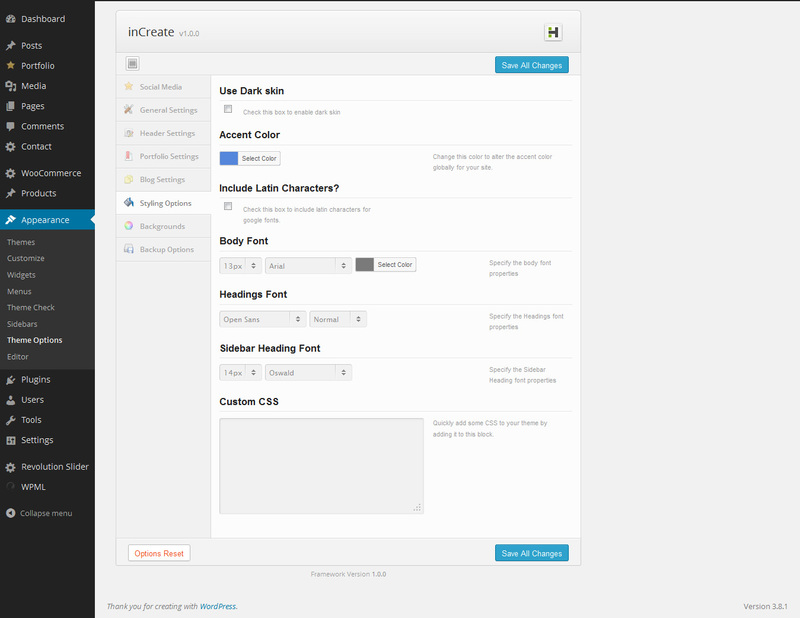 As you see, you can create your desired contact forms and put theme almost everywhere you want. 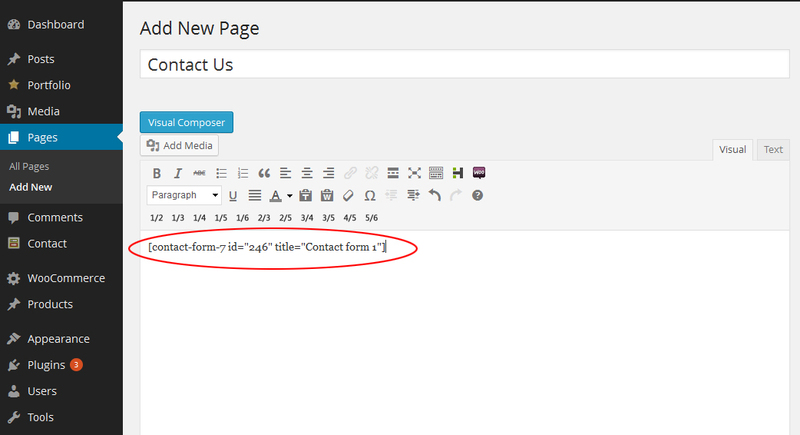 You can have contact forms on the pages, posts, columns, sidebars and footers. 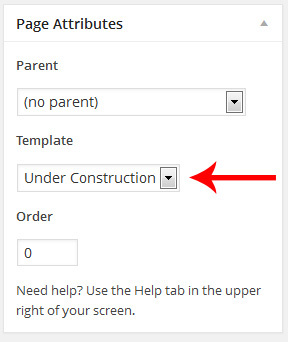 inCreate supports one custom template page, which is named Under Construction. 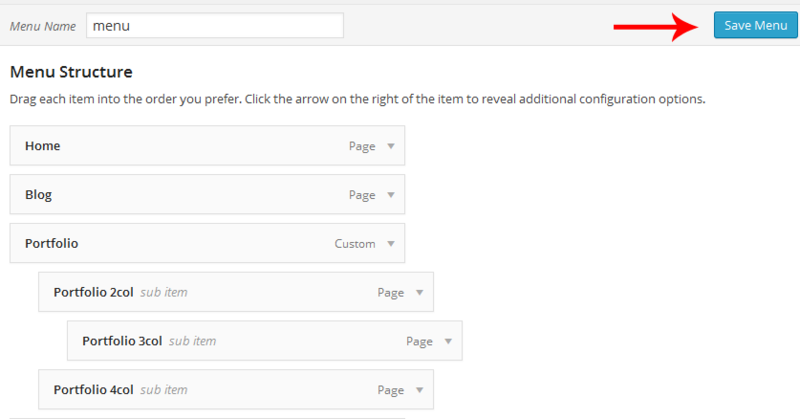 When you want to create an Under Construction page, on WordPress admin dashboard go to Pages -> Add New, then you would be able to see the box below on the right sidebar. 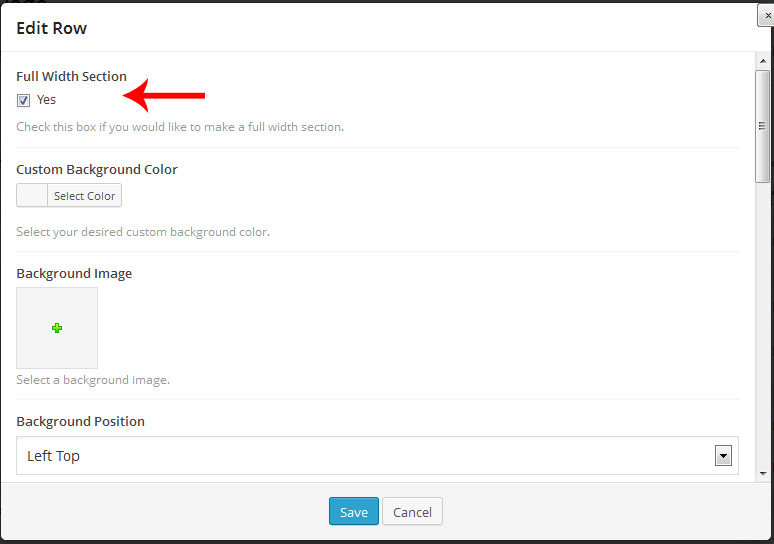 You can change Template option value to Under Construction and then press “Upload / Publish” button to save changes. Then you would have an Under Construction page with its special page design and functionality. inCreate supports some useful post formats. When you select a post format (while editing or creating a post), you will have specified options under HighThemes Page Optionswhich would be related to the selected post format of yours. For example, when you select link post format, you should scroll down to HighThemes Page Options to set a value for External Link for Link Post Format. 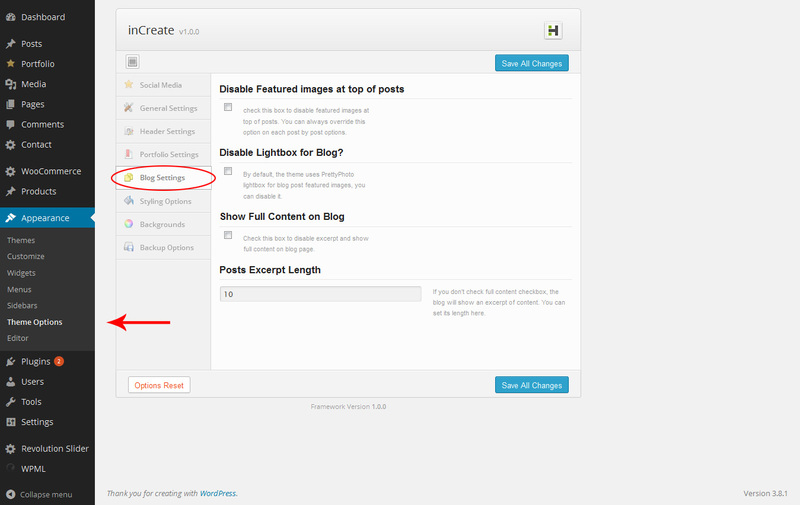 As we said above, every post format has its own special options that you can set them under HighThemes Page Options. inCreate is one of the most customizable full-screen WordPress themes. You can almost change every style and make your own unique theme. There is a special section for that in admin options. 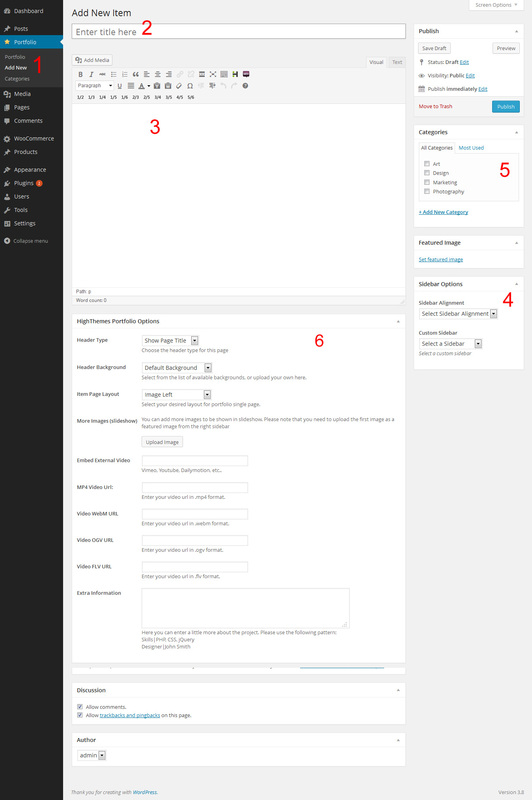 Just go to WordPress admin dashboard and then go to Appearance -> Theme Options then go to Styling Options tab. inCreate’s main CSS file is style.css which is located at the root folder of the theme (/wp-content/themes/inCreate/).